Bamboo uses Lycon wax on sensitive areas, which is much more effective and comfortable than strip wax. Lycon removes the shortest and most stubborn hairs from the root, preventing ingrown hairs and achieving completely hair free results every time. By Dr Howard Murad, ‘skin care specialist to the stars’. Combining the best pharmaceutical-grade ingredients with the latest skincare technologies. A luxuriously replenishing treatment that brings radiance and rejuvenation to mature skin. This treatment smooths, re-sculpts and re-defines facial contours as well as visibly reducing the look of wrinkles and dark spots. An intensive firming treatment that visibly diminishes the look of wrinkles. This treatment stimulates the skin to deliver a triple rejuvenating action - wrinkles are smoothed, facial features lifted and your youthful vitality is restored. A revitalising treatment that smooths first wrinkles and protects tired, stressed skin using a cocktail of antioxidants and revitalising plant extracts. Skin recovers a healthy dewy glow and early lines and wrinkles are smoothed. This multi-level hydration treatment gives intense nourishment for dry, weakened skin, restoring comfort and softness. Dehydration lines are plumped and the feeling of tightness disappears. A calming treatment to soothe and comfort sensitive, irritated skin. Redness is reduced and your skins recovers its softness, suppleness and comfort. The new CACI Synergy is an even more high tech update of the popular CACI system. The Synergy treatments work in conjunction with S.P.E.D., an LED light therapy to help the micro current work quicker and deeper, also helping with plumping, smoothing, collagen production, calming and anti-bacterial. Many different treatments for all skin types available. CACI Synergy is good for anti-ageing, sun damaged skin, acne, uneven skin toe, pigmentation, lymphatic drainage and reduction in puffiness. An initial course of 10 is recommended for optimum results, although results are seen after 1 session. Intensive skin hydration and facial toning. The hydrating gel mask becomes ‘charged’ so that the whole face is bathed in rejuvenating energy. This targeted body treatment will firm and tone the buttock and thigh area. It will also sculpt and contour to give a firmer, more defined appearance. Immediately improves the appearance of multiple skin conditions such as fine lines, wrinkles, acne scarring, pigmentation, blemishes, open pores and puffy eyes. Oxygenates and rejuvenates skin in just one session. Delivering moisture, vitamins, oxygen and nutrients into the skin for a fabulous, instant fresh glow. We will visit your home or wedding venue on your big day. Please ask at reception or contact us for more details and prices. A state of the art semi-permanent eyelash system tailored to each client to create the appearance of fuller, thicker-looking lashes that last up to six weeks. Elongate, enhance and exaggerate your natural lashes and say goodbye to mascara and lash curlers. Known for its exceptional formula, fashionable colours and iconic names, OPI’s heavily-pigmented lacquers are super rich, long-lasting, and chip-resistant. These gorgeous well-being treatments have been created by the Neom team of 11 experts, and combine 6 of the most effective therapies – meditation, shiatsu, cranio, Thai massage, trigger point and reflexology. Each treatment begins with a relaxing guided meditation , reflex foot massage and breathing techniques. Nothing affects how you look or feel as much as lack of sleep. We drizzle the warm oil of the Neom intensive skin treatment candle over the skin, and massage every inch of your body. Prepare to be lost in a blissful state ready for a deep nights sleep. Using the Neom intensive skin treatment candle, warm oil is used in a specialist massage, which targets key stress relieving points of the head, scalp, face, neck and back. With therapeutic benefits for the mind and body, this treatment allows tension and stress to drift away. Using speed-of-touch, different textures and changes in temperature, this reviving treatment invigorates the body and soul. Your skin will be enveloped in the Neom energising cream clay wrap allowing the stimulating essential oils to penetrate the skin and allow for detoxification. 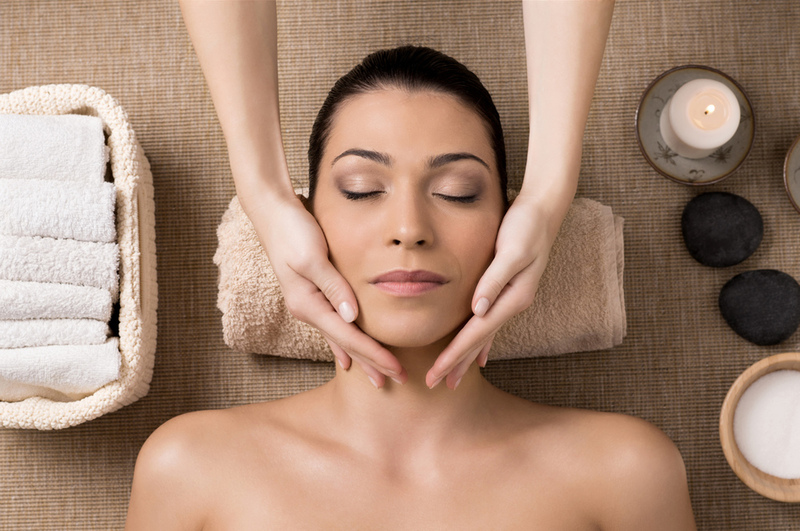 Whilst wrapped you’ll experience a face, scalp and foot reflex massage. Happier people are healthier people! Your skin will be lightly buffed using Neom body scrub, with its invigorating and uplifting essential oils. Next, a massage using specialist techniques will decrease stress levels and release endorphins, leaving you relaxed and happier. Cancellations must be made 24 hours in advance. Deposits may be taken for bookings over two hours and group bookings of two people or more. On occasion you may be required to make full payment in advance for high value appointments and Bank Holidays. Deposits are nonrefundable. We recommend you make your reservations well in advance to avoid the disappointment of not being able to get booked in at a desired time with your chosen technician. If you do not show up to three appointments, you will be required to pay in advance. Please plan to arrive ten minutes before your scheduled appointment time, to allow for parking and filling in any pre-treatment consultation cards that may be necessary. Our scheduling permits the correct amount of time to complete your service. If you expect to be late to your appointment, please inform us as soon as possible. If you arrive 15 minutes late, your appointment will be rescheduled. This is to ensure our client’s scheduled appointments stay on track. If you have a potentially contagious condition on your hands or feet, signs of a fungus or wart for example, we cannot provide services to you until said condition has fully cleared up. We also cannot perform services if open or infected wounds are present. If you have a condition on your hands or feet that you think is suspect, please notify us before the service begins, and we will advise you on whether or not services can be legally and safely performed.